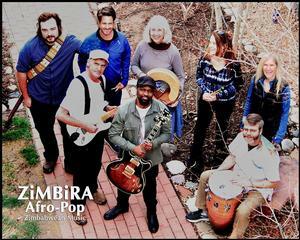 ZiMBiRA is a Boulder act that combines the music of Zimbabwe and their own music style. They are an eight piece ensemble that plays everything from the hosho shaker to the guitar. They use the term ‘Afrofusion’ to describe their sound and perform together as tight as the best of them.